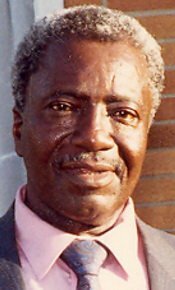 WATERLOO - Earnest Ambrose, 84, of 732 Adams St., died Thursday, Oct. 1, at home of natural causes. He was born Aug. 29, 1925, in Goodman, Miss., son of Willie and Carrie Brown Ambrose. He married Annie Ruth Bland on Dec. 31, 1956, in Grenada, Miss. Mr. Ambrose served in the U.S. Navy during World War II in the European Theatre. he worked at Headford Brothers and Hutchins Foundry from 1946 to 1975 and Hawkeye Steel for eight years prior to retirement. Survived by: his wife; a daughter, Mae Ruth Ambrose of Waterloo; a grandson; two great-grandchildren; and a sister, Classie Mae Grover of Goodman. Preceded in death by: four sons, Earnest Jr., A.C., and infants Ricky Jo and Wesley Allen; an infant daughter, Augustine Marie; five brothers, Carter, john, Joe, Willie C. and Taylor; and three sisters, Harriet Smith, Lillian Thompson and Maude Esther Tate.